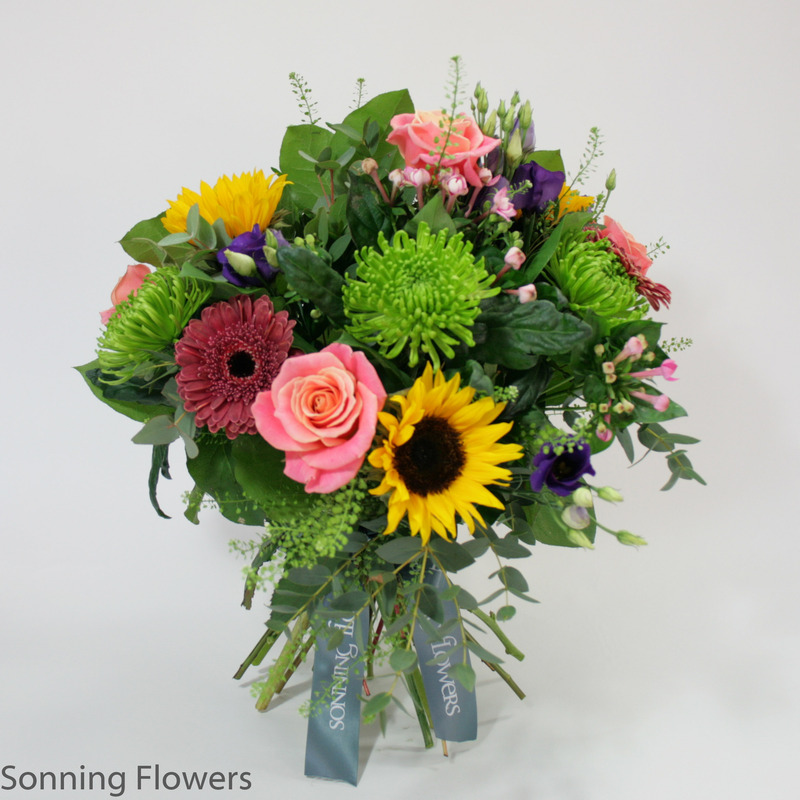 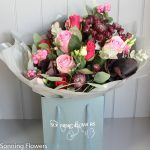 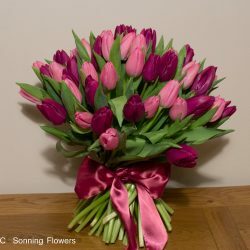 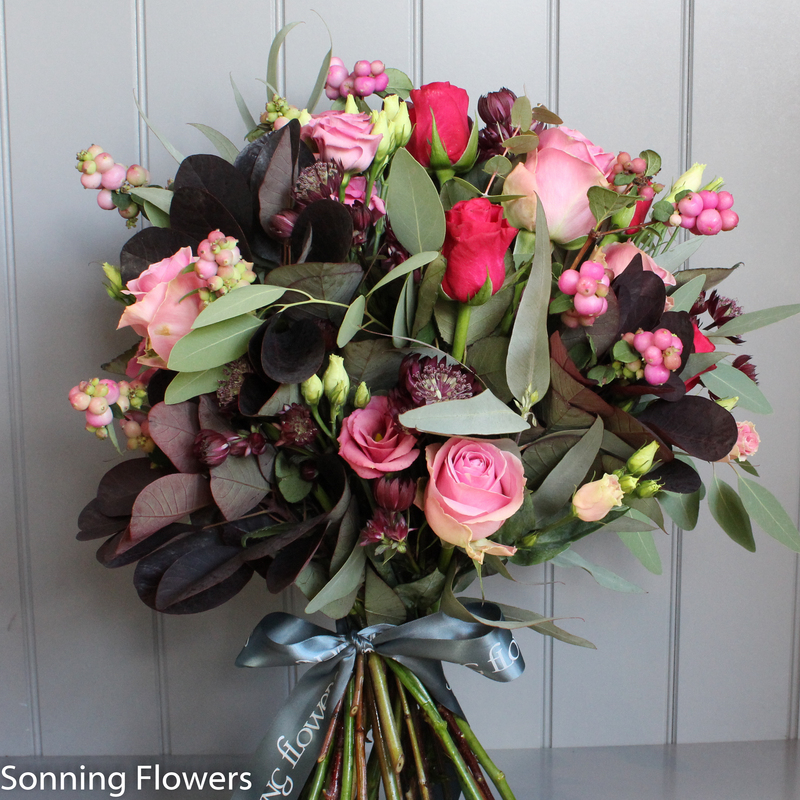 A hand tied bouquet using flowers in all the berry colours. 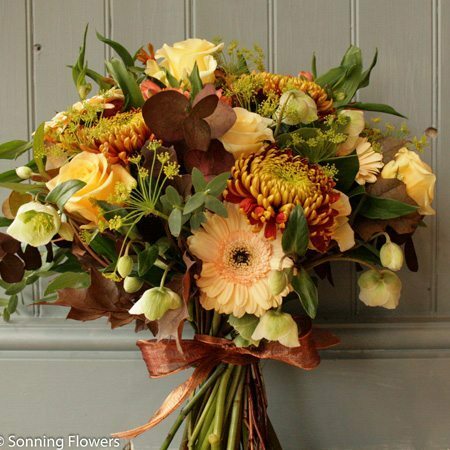 The bouquet will include roses, astrantia, berries, lisianthus and seasonal foliage in a mixture of different berry colours. 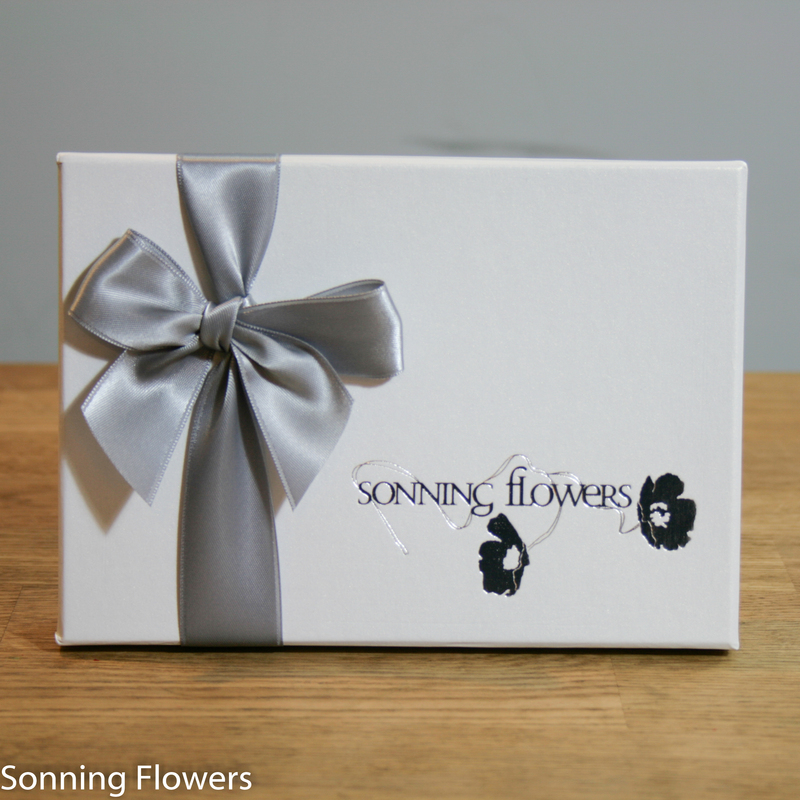 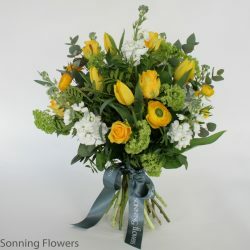 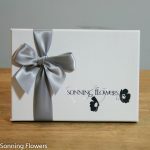 For local deliveries your bouquet will be wrapped in grey tissue paper, frosted cellophane and delivered in our Sonning Flowers gift bags. 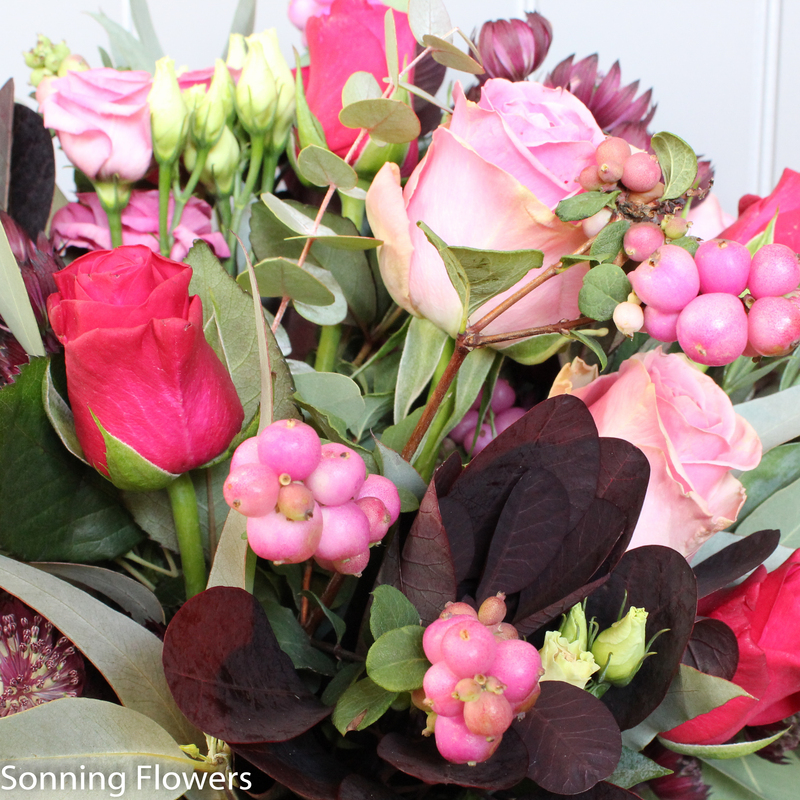 The photograph shows our premium bouquet size.